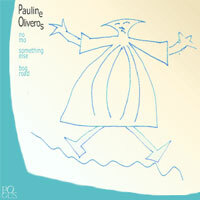 “Pauline Oliveros (born 1932) is an American accordionist and composer who is a central figure in the development of post-war electronic art music. She was a founding member of the San Francisco Tape Music Center in the 1960s, and served as its director. She has taught music at Mills College, the University of California, San Diego, Oberlin Conservatory of Music, and Rensselaer Polytechnic Institute. 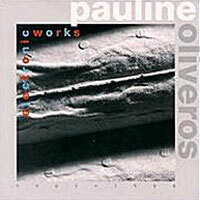 Oliveros has written books, formulated new music theories and investigated new ways to focus attention on music including her concepts of Deep Listening and sonic awareness.”—Wikipedia. 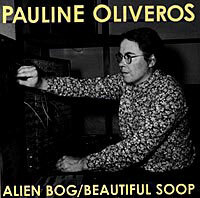 Flowing from the same vein as her Alien Bog / Beautiful Soop CD on Pogus and Electronic Works CD on Paradigm, No Mo brings three more long (and lost) tape pieces from the 1960s kicking and screaming into the fright of night. You are currently browsing the archives for the Pauline Oliveros category.